The journal: a hand-finished journal from Ludlow Bookbindery with a red linen hardback cover and lined pages. 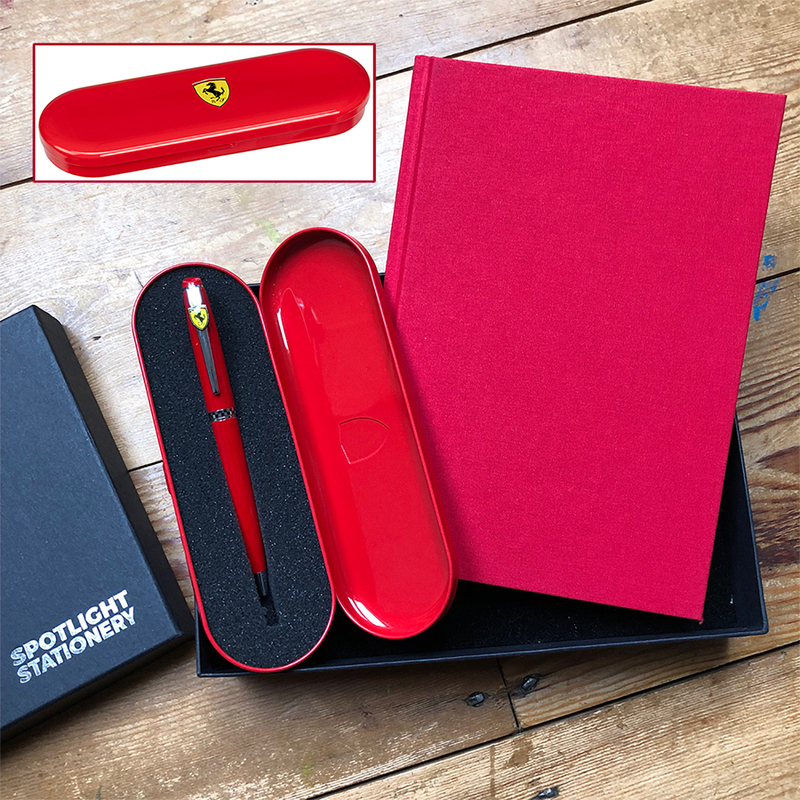 The pen: Ferrari Monaco ballpoint pen in a red presentation tin, from the new line in licensed merchandise from the Italian car manufacturers. The set is packaged in a Spotlight Stationery rigid lidded box.